A get-up-and-dance musical tribute to early Rock & Roll! 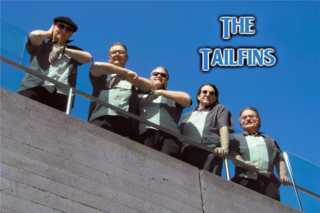 The Tailfins Band brings energy and excitement to the hits of the 50's, 60's, 70's & 80's. Our authentic show takes you back to cruisin' cars, sock-hops, beach parties, and the best Rock & Roll of all time! Five talented musicians – electric guitar, piano, bass, vocals and rockin’ drums. Everyone sings golden Doo-Wop Vocals. The Tailfins are true to the first generation of rock; Elvis, Buddy Holly, Chuck Berry, Fats Domino, Ricky Nelson, and Jerry Lee Lewis. They salute the Swinging Sixties; the Beatles, Stones, Creedence, and Motown. And they bringing back the surf and car songs with the Beach Boys, and The Ventures. The Tailfins cover the greatest era of Rock & Roll! The Tailfins bring back the Golden Era of Rock and Roll with songs everyone knows and loves. Professional, entertaining and just plain fun! Come join us for an exciting evening of music and memories! THE TAILFINS - ENJOY THE RIDE! For over 8 years, the Western Illinois based roots rock/jam band "The Dawn" has been spreading their love of cutting edge improvisational rock throughout the Midwest. From their humble beginnings in the shadow of the Mississippi River, they have crafted out their place as one of the premier up and coming jam bands. The Dawn's live show experience has proven contagious and is tightly gripped in spacious jams, roaring guitar and soulful harmonies. These four accomplished musicians push the envelope at every performance and audiences are rewarded with an experience that can only be described as "The Dawn Effect." Coupled with an equally adventurous light show, The Dawn concerts keep their dedicated and growing fanbase coming back for more. Fresh off the heels of their fourth studio release Waiting For the Storm, 2014 has seen the Dawn play major festivals, including the inaugural Phases of the Moon, and has shared the stage with such acts as Widespread Panic,The String Cheese Incident, Govt Mule, Robert Randolph And the Family Band and Railroad Earth. 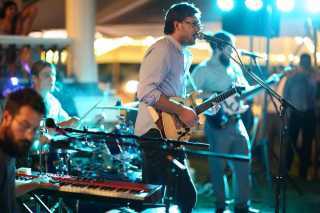 Combined with high profile local gigs, the Dawn is turning many heads in the jam scene. 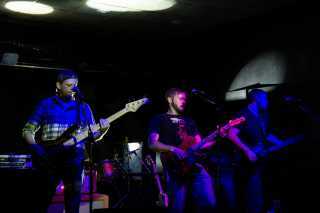 Formed in the winter of 2012, The Effie Afton is an indie singer/songwriter rock band from the Quad City area of Illinois/Iowa. The Harris Collection is a blues-rock group based out of Davenport, IA. 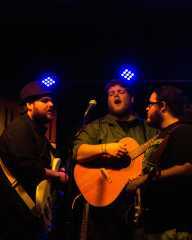 Originally formed in 2009 between Harris brothers Shawn,Steve, and Ryan, they were then joined shortly after by Leland Chasey. T.H.C. has been performing at bars, private parties, and festivals since 2010. Recently the band has been joined by keyboard player Dan Kelly enhancing the fullness of the band. The group is known for performing powerful versions of classic blues covers and new original material as well. Band members are heavily influenced by many blues legends such as Muddy Waters, Junior Wells, and Howlin’ Wolf. More specifically, influenced by dominating guitarists like Stevie Ray Vaughan, Jimi Hendrix, and B.B. King. It’s evident that psychedelic rock has also made an impact on the groups sound. Members have had the opportunity to jam with legendary bluesmen including Billy Branch, Bernard Allison, and Chainsaw Dupont. The Harris Collection has been very successful in attracting younger fans to the great american art form called the Blues. 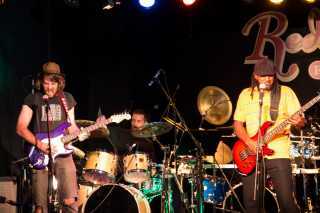 The band continues to gain new fans daily and is currently #1 on Reverbnation.com blues charts for the Quad Cities area. 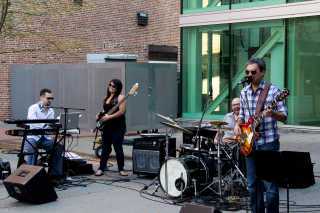 To date, The Harris Collection has been booked recording artists such as The Giving Tree Band and the Kris Lager Band. Texture, melody, emotion, and crushing sound. This is The Last Glimpse. A rock band that likes sad slow tunes and catchy pop melodies. The Mississippi Misfits - Blues, Rock and Soul, Original and Cover mix. The Mississippi Misfits - truly a band of brothers, these 3 musicians with a wide variety of interest and talent put it all together in 2011 and in 2012 were Iowa Blues Challenge finalists. This is a well-balanced, versatile trio with all three providing lead vocals. Their musical tastes range from Hill Country Blues to Funk to Psychedelic Rock. The Statistix are a Quad Cities street punk band that is opposed to racism, sexism, homophobia, fascism, capitalism, police brutality, religion, ETC. 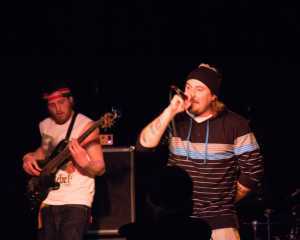 The Statistix formed in December of 2011 with Vocalist/Bassist Spencer Statistic and Vocalist/Guitarist Ian Adolescent who quickly picked up drummer Elliot Damaged. After their first show, Elliot quit the band, and the Statistix, with new drummer Jacob Disaffiliate, recorded their first E.P., The American Dream. A while after the EP was released, Elliot rejoined and switched to lead guitar. The Statistix then performed numerous shows with bands such as Arms Aloft, Comrades Collective, Lipstick Homicide and the Virgin Whores. After a while, Spencer Statistic left the band, Elliot filled in Spencer's vocal spots and Justin Martyr (one of Jacob's co-workers) took over the bass for a while but soon left to go to college. The Statistix just recorded a full length album titled 'The Statistix Can't Exist!' and will be releasing it soon. The Statistix are a street punk band from the Quad Cities comprised of Ian Adolescent, Elliot Damaged, and Jacob Disaffiliate. We (almost) exclusively play all ages shows, unless the other bands are too good for us to pass up. "A zealot is someone that feels strongly about a belief... The concept came from the religious zealots of the bible that fought for religious freedom. We apply that same concept to our music. We have one goal. Reach as many people as we can with our message. We are going to tear down the temple that is the music industry and rebuild it." Rock anthems and melodic instrumentation define the original sound of The Zealots from Bettendorf, Iowa. The music scene is struggling in Iowa, which is why The Zealots are aiming to be something new and different. After forming in the summer of 2014, they started mixing rock genres into a masterpiece. The Zealots are nothing but original. In late 2014 The Zealots were the first band from Iowa to collaborate with Joey Sturgis & his team at mixingbros.com. They went on to mix & master the single Chips the Fish. After hearing the final version of the song, The Zealots knew they had struck gold. In early 2016 the boys were discovered by Will Stevenson at the Artery Foundation. The Zealots signed with the management, making them the first Iowa band on their roster. They went on tour in the summer of 2016 & rocked out 5 different states. The band is comprised of five members: Micah Martin, Ryan Housenga, Jeff White, Colton Menke, & Adam Housenga. Please listen for yourself, you'll be glad you did. 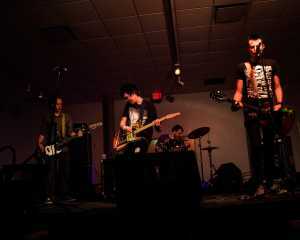 Two Peace is a band out of Davenport, IA formed in early 2011. They come to spread truth and positive vibes.